Give the gift of an unforgettable experience with a Firelight Camps stay. Nature meets luxury at our glampground with safari tents raised on platforms and fully-furnished with king and queen beds. 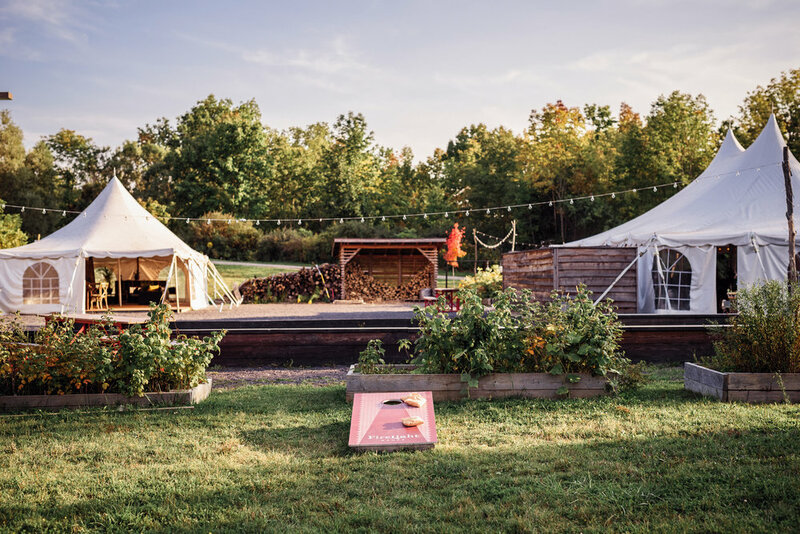 Each tent is outfitted with a private balcony immersed in the woods. Guests awaken and deepen their appreciation for the great outdoors while enjoying the comfort of modern amenities. Firelight Camps gift certificates are available for purchase online or by phone: (607) 229-1644. For your gifting convenience, we can deliver your gift certificate via email. As you select the gift certificate amount, please review our 2019 reservation rates. Gift certificate rates require a $50 minimum. Email reservations@firelightcamps.com with the gift certificate number to book a tent. Guest charges in excess of the gift certificate value may be paid with cash or credit card. Gift certificates are not exchangeable for cash and have no value unless redeemed. All gift certificate purchases are final and non-refundable. Gift certificates may be combined with other forms of payment.